When it comes to choosing kitchen or bathroom countertops, quartz is a popular choice. When you watch home improvement shows, though, most everyone is talking about granite as if it is the only choice. Is quartz the best option or would natural stone like granite be better? Each option has its benefits. Before making a final decision, you might want to do a countertop comparison. 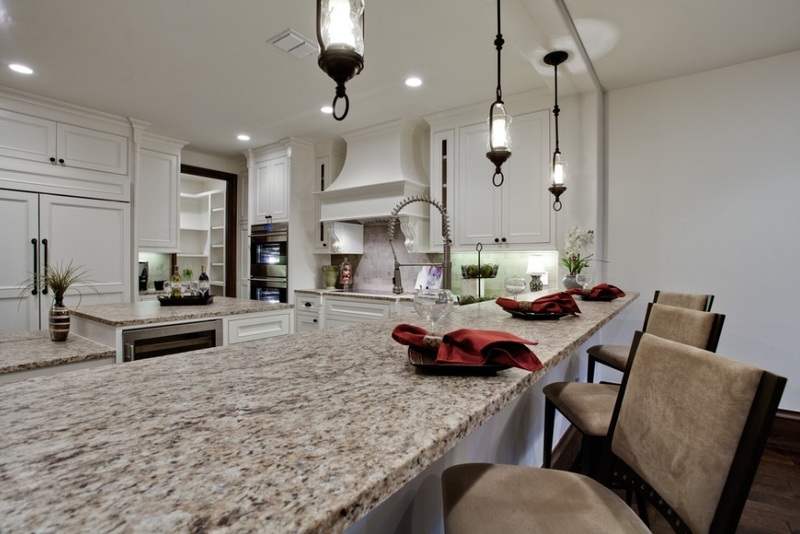 Both granite and quartz are among the most durable solid surfacing materials. Explore the benefits of each and choose the one that will best suit your lifestyle. Granite, a popular natural stone countertop material, is both stylish and elegant. A granite countertop in either the kitchen or the bathroom can easily become the focal point of the space. Its natural beauty commands attention, drawing your eye to it when you first enter the room. It doesn’t matter if it is a traditional bathroom or a modern kitchen – granite is unique and makes a statement. Like snowflakes, no two slabs are the same. For a truly spectacular look, you can complement your countertops with a natural stone floor or backsplash. Countertops of granite can stand up to the everyday demands of the kitchen while maintaining its color and luster. 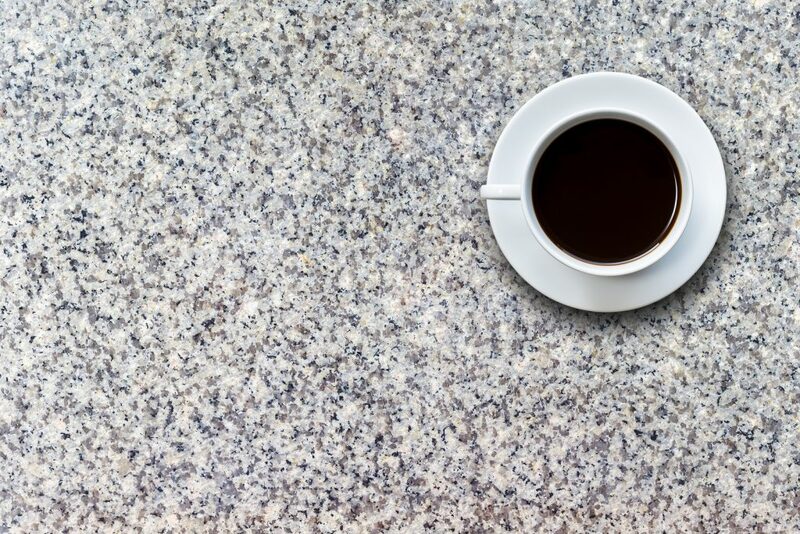 When properly sealed to protect against damage and spills, a granite countertop can last a lifetime. While granite is strong, it can be porous. Once sealed, it will be more resistant to acids and alkalis as well as scratches and heat. It will also need to be resealed periodically. 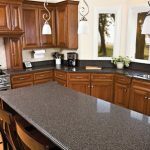 Because of its durability and beauty, granite countertops can add value to your kitchen or bath, in turn, adding to your home’s value. Even if you are not currently planning to sell your home, it is always a good practice to make improvements or upgrades that will enhance your home’s value. Sealing extends the life of granite or any natural stone. Properly cared for, it will look as beautiful as the day it was installed years from now. Kitchens and bathrooms are two of the biggest selling points when selling a home. Installing high-end countertops made from natural stone could be one of the wisest investments you could make in your home, adding appeal to interested buyers. 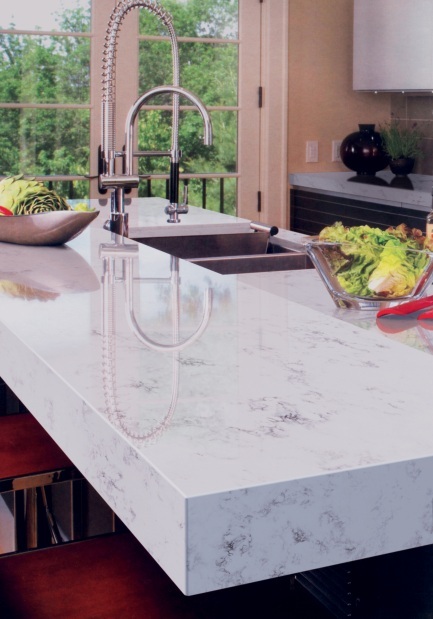 Often referred to as quartz, engineered stone may provide a better description of this countertop material. It is composed of quartz crystals combined with resin which binds them together to make a solid surface. Engineered stone slabs often mimic the color and texture of natural granite and slate. With more consistency in hue, they do lack the variations that occur in natural stone. The color is mainly derived from the quartz itself but can be enhanced with dyes or other colorants to achieve a specific shade. Some may prefer the variations of natural stone and feel it adds character as well as beauty, engineered stone will provide a rich, uniform color that will match your entire space perfectly. Engineered stone is extremely hard, almost equal to granite. If properly installed, it is less susceptible to cracks or fractures than granite or slate. While it is scratch and heat resistant, the use of trivets and cutting boards is always recommended. Natural stone countertops have pores and fissures. This makes them more porous than engineered stone, leaving and opportunity for liquid to penetrate leaving behind stains and bacteria that can be tough to eliminate. Quartz countertops are a solid surface free of pores and fissures, and provide an easy and complete clean up. Their resistance to bacteria and stains can keep them looking better longer and aid in kitchen and food safety. Not quite as high-end as natural stone, engineered countertops can still add value as well as beauty to your home. An upgrade from old, worn out or inferior countertops can enhance the value of your home while providing beauty and easy maintenance. Both natural and engineered stone each have their own advantages when it comes to countertops, the right choice depends on your personal taste and lifestyle. When doing a countertop comparison for your home, you need to decide which features are more important to you. Are you looking for high-end elegance? Or are you more concerned with the ease of everyday maintenance? When selecting your solid surfacing, be sure to have paint, tile and cabinet stain samples on hand to help make the perfect choice. There is no clear cut right or wrong option when choosing between natural or engineered stone. Having all the information when doing a countertop comparison will allow you to make an informed decision and choose a countertop that will work best for you and your family. PMI International Stone Importers procure stone from Brazil, Italy, India, South Africa, Mexico, China, Spain, and Canada. We offer a wide selection of colors in Granite, Marble, Limestone, Onyx, and Travertine as well as engineered products such as Samsung Radianz and Polarstone. Founded over 30 years ago as a marble and granite fabricator, we have evolved and transitioned from fabrication to wholesale. With a customer service and selection process which is unique to the industry and are open to the public. If you contact us, we will certainly be able to help find your perfect stone choice.